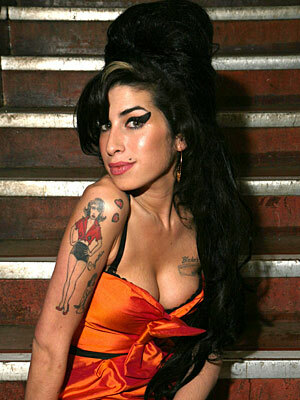 I'm still in complete shock as a type this, but I'm sure as everyone knows, sadly, Amy Winehouse passed away yesterday at the tender age of 27. Although the cause of her death is still to be confirmed,it was no secret that Amy battled with some very powerful demons during the past few years. Drink and drugs were,in the end, the demise of this beautiful and talented young woman,who sang about true, honest heartbreak like no one else. What a waste of such young and amazing talent. My thought are with all Amy's family and friends.